'Tis the season for gift-giving. We've searched high and low for great science related gifts that are not only educational but also fun. 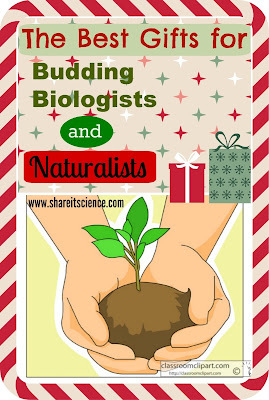 Throughout the week we will be posting gift guides based on a particular science related theme. 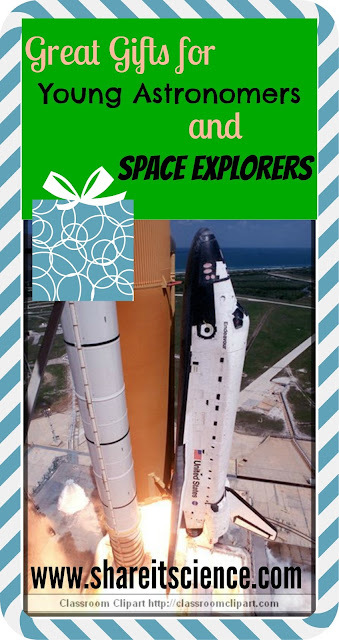 If you've got an aspiring astronaut, an insatiable tinkerer or one who wonders about wildlife you are sure to find just the right gift in our series this week! 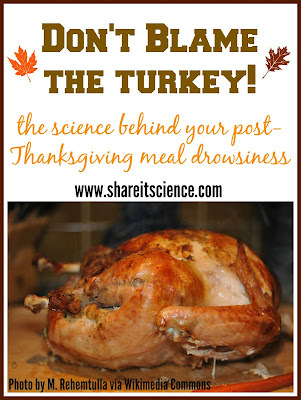 You've probably heard that eating turkey makes you sleepy. Or maybe by now you've heard that it's just a myth! 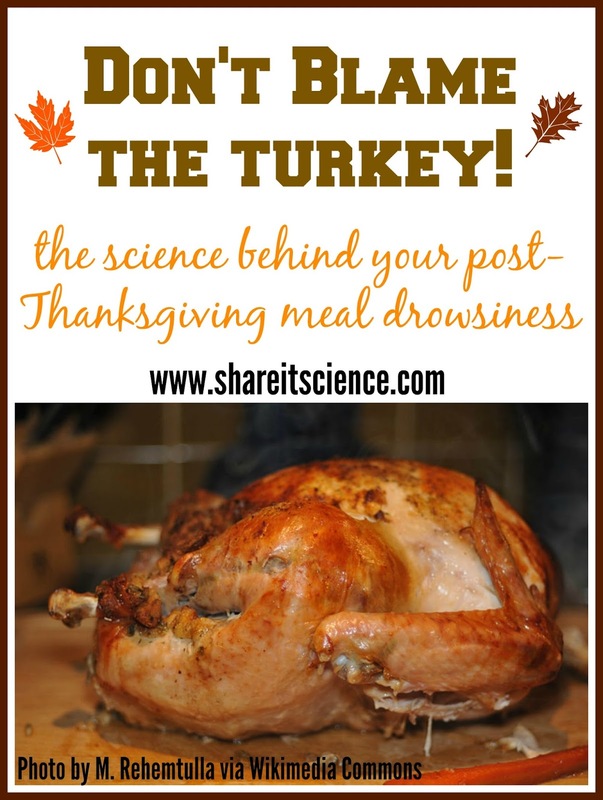 Science says that you can indeed get sleepy after eating your Thanksgiving meal, but the turkey is not to blame. Turkey contains the amino acid L-tryptophan. Amino acids are the building blocks of proteins. After we've digested our turkey, L-tryptophan travels to our brain and is transformed into another chemical called serotonin. Our bodies serotonin use to calm us down and help us sleep. Scientists understand that L-tryptophan can only make a person tired right away if there are no other amino acids present in the meal. There are actually a lot of other amino acids in the turkey, besides the L-tryptophan, so turkey cannot be the culprit. So why do we feel sleepy after Thanksgiving? There are other reasons why eating a large meal might make you sleepy. When you eat a lot of food, blood moves to the stomach to aid with digestion and away from other areas. With your blood headed towards the stomach there is not as much oxygenating your brain. It's what I like to refer to as the "food coma". Kids can read more about this phenomena in this article at Kidshealth.org. Looking for a turkey science activity? Try this from the National Science Teacher's Association. "Time's Up, Turkey- Pop-up Thermometers"
Looking for a DIY gift for the kiddos? How about a homemade science kit, tinker kit or invention box? There are so many great ideas out there. With a little time and effort, you can put together a gift with more play value then something from the store. 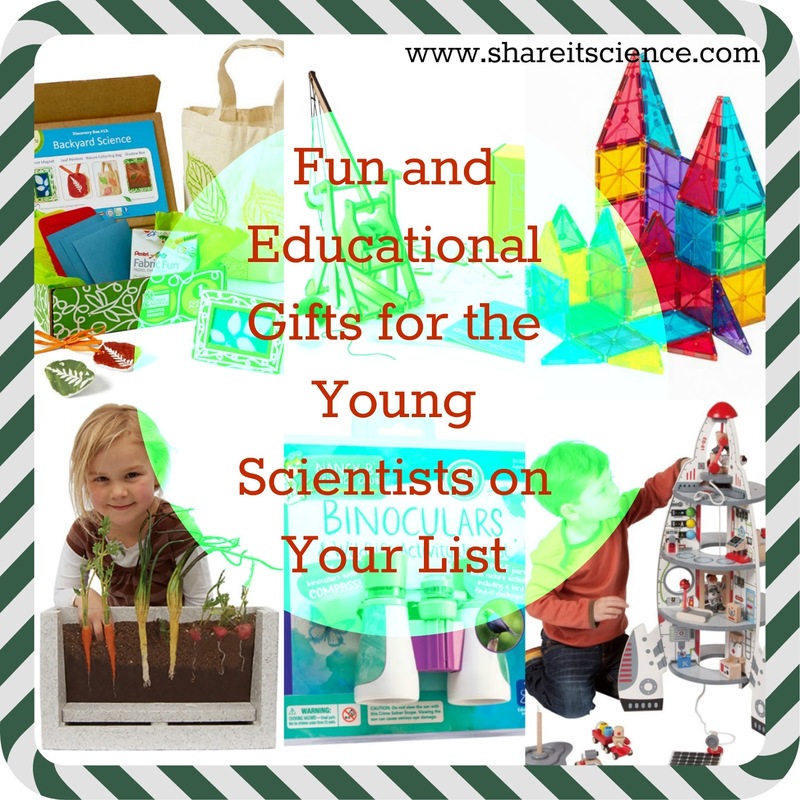 If you are interested in other science themed gifts, be sure to stop by the other posts in this series: Fun and Educational Gifts for the Young Scientists on Your List. 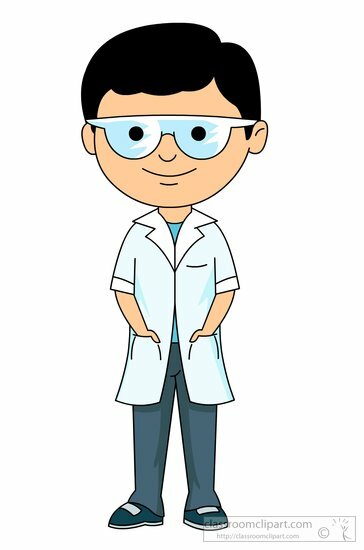 With a little creativity you can build your own science kit with inspiration from Share it! 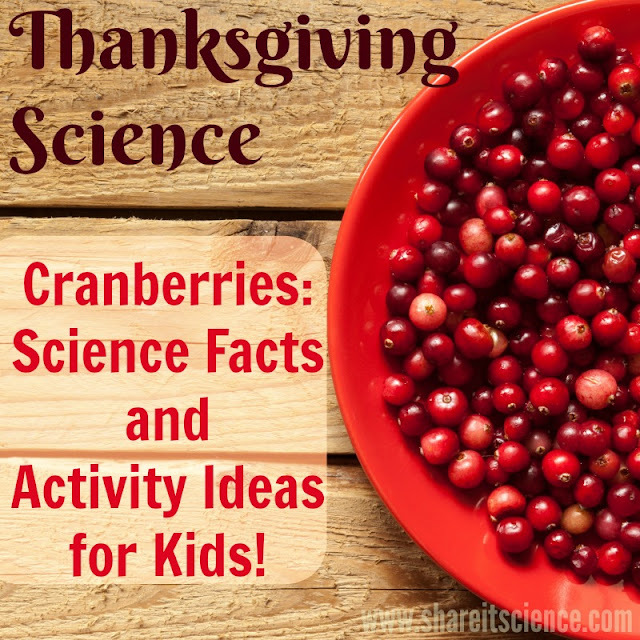 Science activities, like Spies and CSI's, Balloon Rockets, Hidden Colors in a Leaf, 5 Ways to Make a Real Rainbow, Science with Christmas Leftovers, Dreidels and other Spinning Tops, or any other of my Saturday Science Experiment series. Or, put together one of these science kits from some great kids bloggers! I Can Teach My Child: Science Kit for Kids Gift Idea. This great science kit idea is complete with a free printable: "Fascinating Science for Kids" full of experiments that can be easily accomplished at home. The whole kit can be put together for under $20! Little Bins for Little Hands: Homemade Kids Science Kit with 20 Experiments. A supply list of items that are easy to acquire at the grocery or dollar store and links to some great simple at-home science experiments! 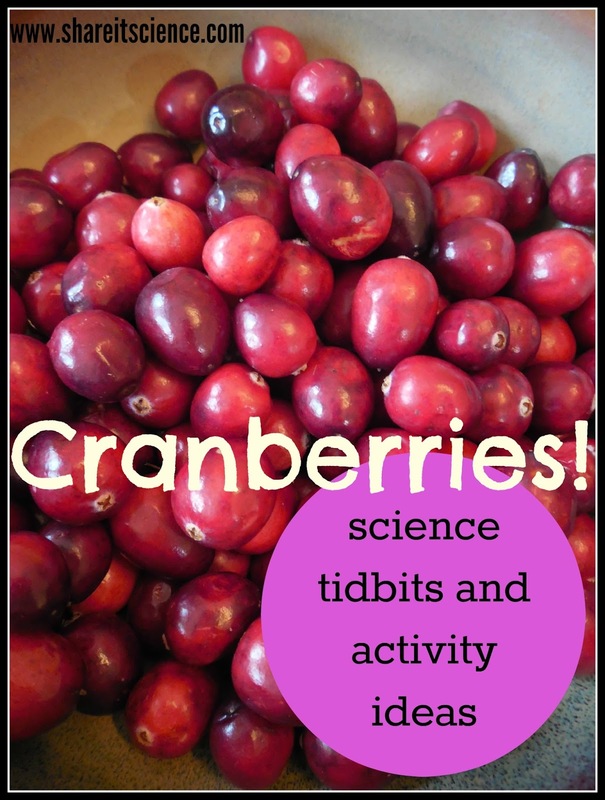 Fun at Home with Kids: DIY Science Kit Gift for Kids. A science kit to accompany the author's book: The Curious Kid's Science Book. Great ideas, simple materials! The Kitchen Pantry Scientist: Homemade Science Lab. All the supplies you need to turn your kitchen into a science lab! Playdough to Plato: DIY Home Science Kit. Put together a simple science kit and print out some cool science kit cards to get you started on your science adventures! A Girl and a Glue Gun: The Science Box. Directions for making a box full of science activities. Teach-a-roo: Send Home Science Kit. 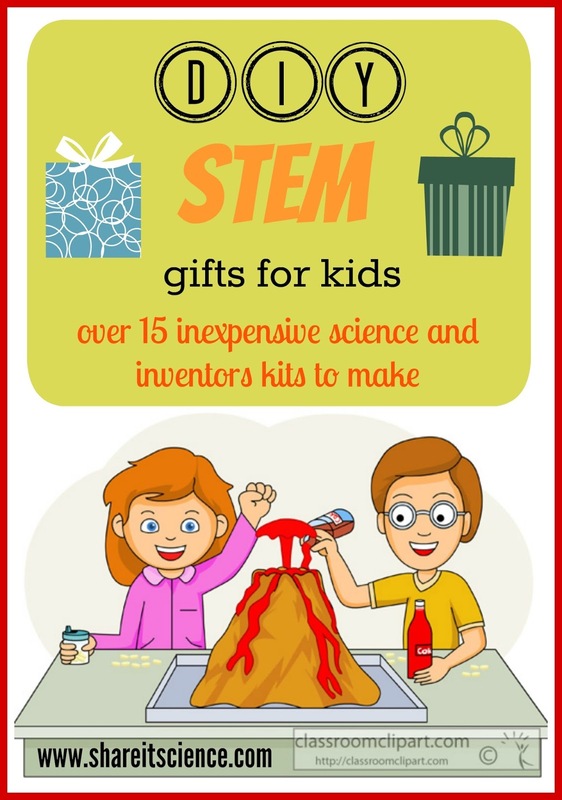 Although geared toward teachers, this at home science kit could be adapted for a gift. Also a great idea for an educational gift for your students if you are a teacher! Science Sparks: All You Need for Science At Home. 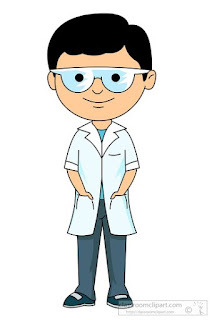 A thorough list of the everyday items that complete the at-home science lab. Great experiment ideas too! 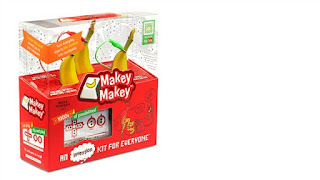 Kids Activities Blog: Totally Awesome Kids Science Kit. 3 super fun experiments that require things you probably already have lying around the house. Mama.Papa.Bubba: DIY Science Kit for Kids. Filled with items from the grocery store or dollar store. Uses "The Curious Kids Science Book" as a guide. 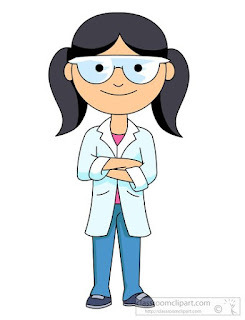 Glue Sticks Blog: Homemade Science Kits for Kids. Great DIY kit with a ton of experiments and experiment "recipe cards" with directions. Would make a great family gift! Katydid and Kid: A Kids' Tinkering Kit. Ideas to make a kid's tinkering kit with real tools! Left Brain Craft Brain: Portable Tinkering Kit for Preschoolers. A nice little kit designed to keep a young one busy when you are out and about. Little Worlds: Upcycled Inventor's Box, A DIY STEM Activity. A nice DIY kit full of recyclables, craft supplies and tools. Hours of good fun and learning. The Educators' Spin On It: Build an Inventor's Box: A STEM Activity for Kids. Ideas for an inventor's box that will keep your tinkerer busy! Do you have little builders, innovators and creators on your list this year? If so, then you are in the right place. 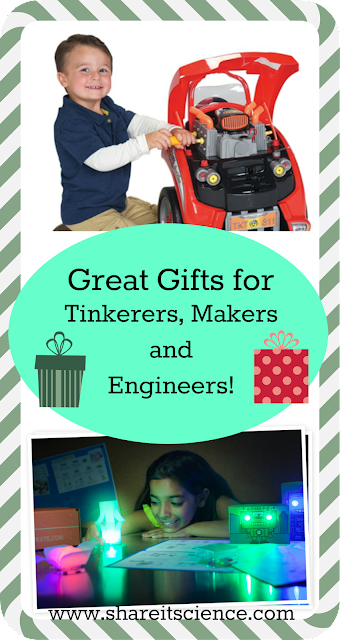 These gifts have been specifically chosen to encourage creativity, innovation, hands-on play and learning. Levers, pulleys and gears! K'NEX building systems allow kids to explore simple machines while using creativity to build an unlimited number of different structures. Sets come in a range of prices. Supplies for crafting a variety of projects like a Spring-Car that moves and a Leap bot that leaps, in addition to unlimited creative options. Access to bloxtown.com where you can find new ideas on videos uploaded daily! Compatible with all other Goldieblox sets. Literally hours of play for all ages. I have worked with students from Preschool through Middle School who love building impressive structures with these magnetic blocks. Although a little more expensive, these are definitely worth the investment! Did you know that you can rent LEGO? Yes, that is right! K'NEX and other toys too. With a Pley subscription, kids can play with a toy and then swap it out for a new one when they are done. A variety of pricing options. Open ended structure building. Beyond simply building a structure, materials are included to wire up motor and light circuits to add to your building. Create elevators, windmills and more. Compatible with all other Roominate sets. Makey Makey is just plain awesome. 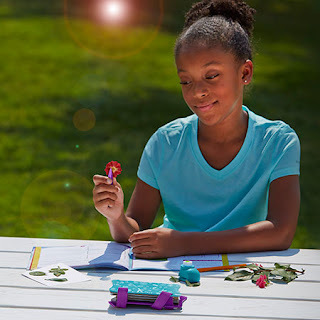 This electronic invention kit gives you an endless world of possibilities. Create music with a banana, play Mario with a play-doh gamepad. Easy to use, no programming knowledge needed. Alligator clips easily connect to objects to play with the world in ways you hadn't imagined until now! Recommended age: 8 and up. Create over one hundred electronic projects with this introductory circuit board. Components like switches, wires, alarms and a speaker easily snap together. Awesome kit to get kids excited about electronics! 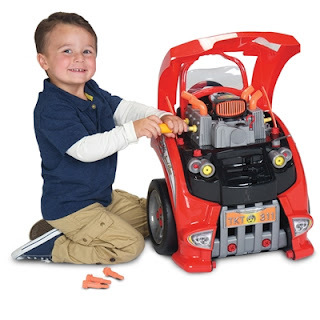 Do you have a kiddo who likes taking things apart and putting them back together again? This is the perfect gift! They can tinker away with this toy car engine, with removable parts, horn and lights. Ages 3 and up. Give a gift that will last throughout the year! 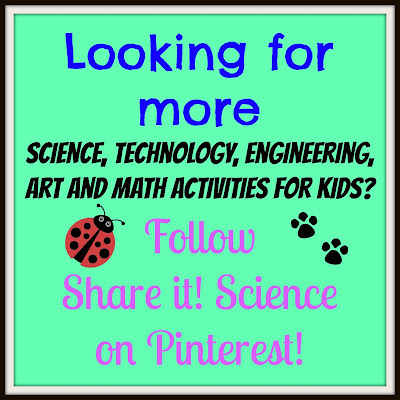 Hands-on science and engineering projects delivered to your door monthly. 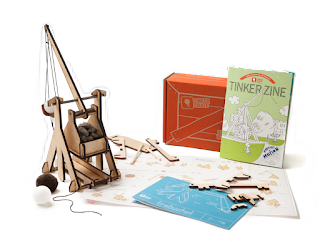 Each box contains a hands-on project with instructions, Tinkerzine (a magazine of additional projects) and access to online tutorials. Pricing options vary with subscription. Ages 9-16. 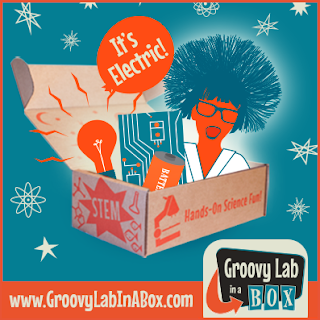 Groovy Lab in a Box is another awesome hands-on science and engineering project subscription service. 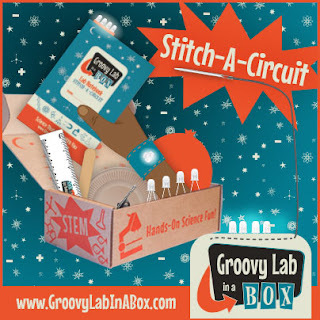 Subscribe to receive monthly STEM projects, or purchase individual boxes. Projects include building your own light-up dance pad, and airplane design challenges. Ages 8 and up. Prices vary depending on subscription or single box purchase. Are you looking for a gift for a young biologist or naturalist? I'm sure just about everyone can think of a kid who can't get enough time playing outdoors, collecting insects, building tree forts and fairy houses. 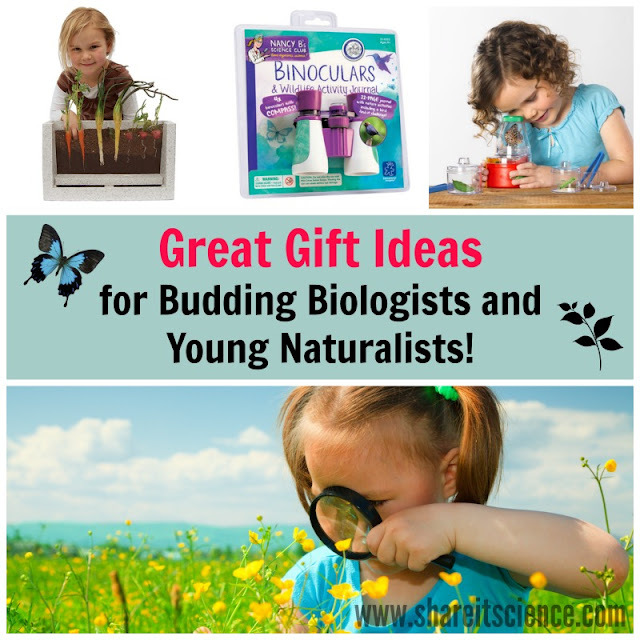 If the kids on your list can't get enough of plants, animals and nature then these fun and educational gifts are for you! You will definitely find something here that your young nature explorer, future botanist or biologist will love! From science kits and sets to grow plants to pretend play toys, it is here. 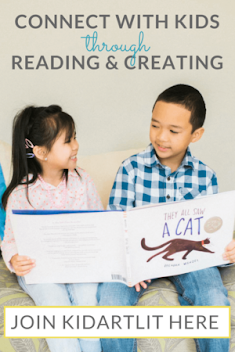 You're sure to find a great gift for a kid that is not only full of play value, but also educational value, too. The gear every biologist needs to explore nature! A large lens lets young explorers view specimens at 4x magnification. Sturdy construction, designed for adventures! Every naturalist needs a close up look at wildlife to learn more. These little insect viewers are great for temporarily examining small creatures. 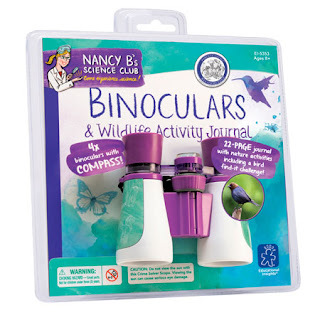 These light-weight, durable binoculars are an excellent exploration tool. The Wildlife Journal is full of prompts, creative writing and drawing activities. 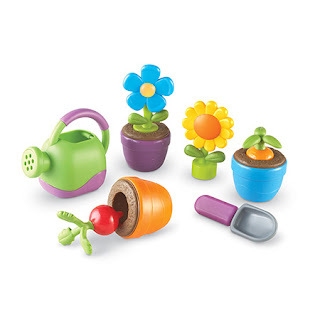 A sweet pretend play set for future gardeners and botanists! Great for the little guys. For keeping tools, specimens and other necessities! With 4 cargo pockets and several loops to attach carabiners to your young scientist can carry all the necessary gear to explore! A young botanist's dream! Press flowers, preserve leaves and make notes and drawings along the way. Extract DNA from fruit and look at it close up! Solve a chromosome puzzle and model messenger RNA. Tons of authentic Biology fun in this little kit! Pre-poured agar plates make collecting and growing bacteria simple. A great way to show kids the importance of hand-washing! Recommended for Ages 5 and up. 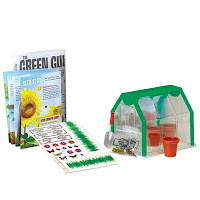 Kids who love plants can get some growing practice in indoors this winter with this mini-greenhouse! Seeds for sunflowers, beans and sensitive plants included. Another great choice for those fascinated with plants. 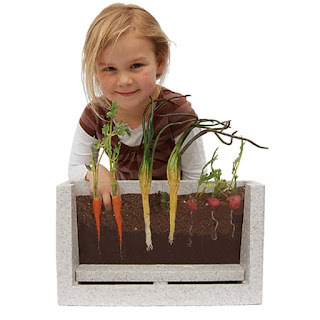 Plant seeds in this self-watering system and watch their roots grow. 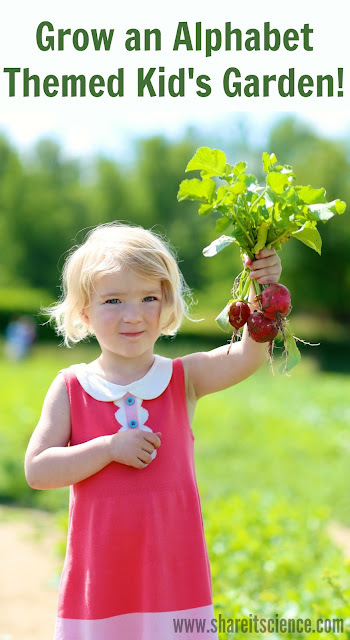 Kids get to see part of the growing process that is normally hidden in the soil. 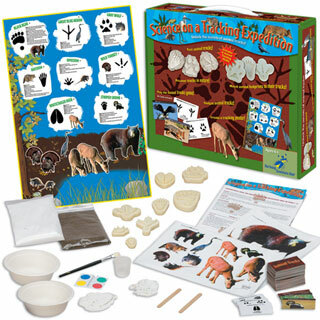 In this kit, kids learn to identify animal tracks through matching activities. Make your own plaster casts of animal footprints. 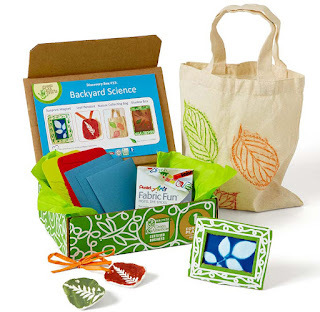 In addition to providing a monthly subscription service, Green Kid Crafts sells its Science and Discovery boxes individually. 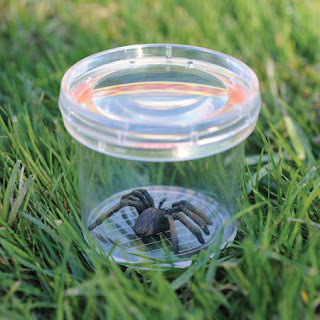 For biologists check out: Ocean Science Box, and Nocturnal Animal Discovery Box. Each is filled with science and eco-friendly craft activities for lots of hands-on fun! Discover Nature as a Family! 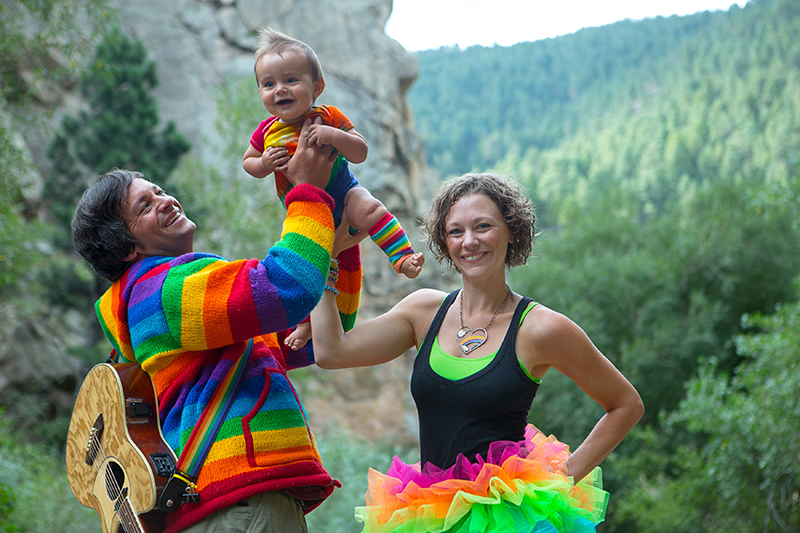 Clare Walker Leslie is an expert at inspiring a love of nature in children and adults. 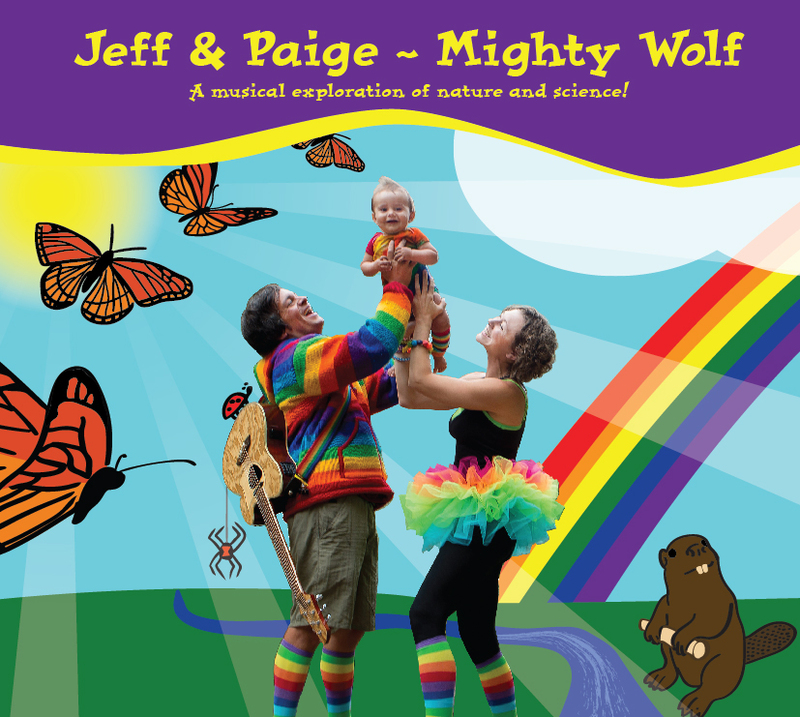 This book provides activity ideas and prompts to get the entire family engaged in nature throughout the entire year!